Parents are using drones to pull kids teeth. Forget a doorknob. Parents have taken pulling out their kids' wobbly teeth to a new level. Using a doorknob to pull out your kid’s wobbly tooth is so 1990. These days, parents are embracing modern technology, using drones to do the dirty work for them. In a nutshell, parents are trying string around their kid&apos;s loose tooth, attaching the other end to a drone, and sending it flying to quickly pull the baby tooth. And because it&apos;s 2015, and everything we do must be filmed and plastered on YouTube, there are plenty of videos of the creative technique. Check one out below (if you dare). Of course, it goes without saying that parents should only attempt this if their child is keen, and if the tooth is almost ready to fall out. That&apos;s the advice that the American Dental Association&apos;s Mary Hayes gave to Buzzfeed recently. "To avoid injury, I tell parents: help the child remove the tooth only if it is very, very loose," she added. "Be sure the child is willing and not frightened before proceeding." But drones aren&apos;t the only creative tooth-pulling technique to debut in 2015. Earlier this year, US Olympian Bryan Clay made headlines after using a javelin to pull his daughter&apos;s loose tooth out. 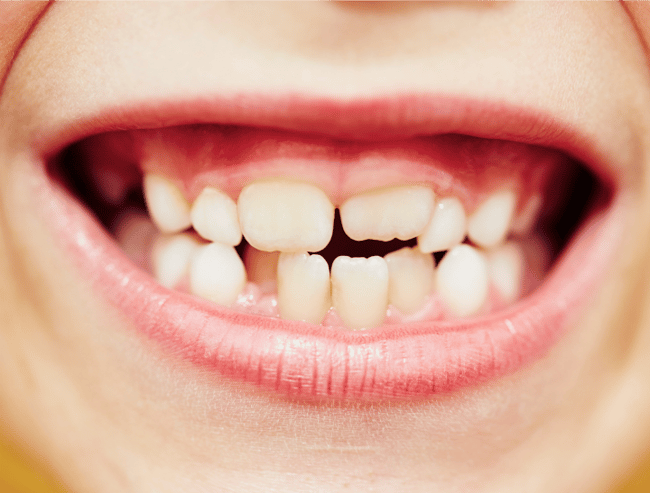 What do you think of the latest tooth-pulling trend?